Starting 2018, I knew my travel calendar would be limited, given my current savings rate for my upcoming Alaskan trip, but that didn’t mean I couldn’t find budget-friendly adventures to embark on in the meantime. Enter the Philadelphia Travel & Adventure Show. There are 8 shows located across the country, but this was the only location remotely close to me. Entrance to the show was a mere $11, so I figured “why not?” Worst case scenario, the show is lame and I leave early, using the rest of the day to explore Philly. Sounds like a solid plan to me! 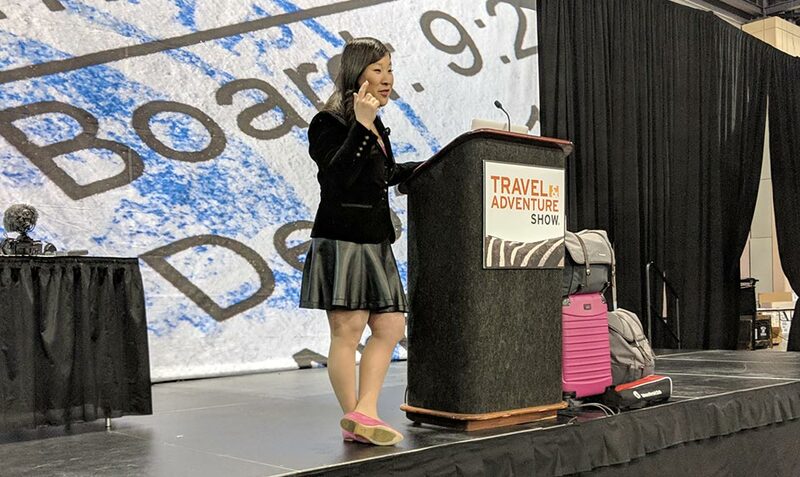 The Travel & Adventure Show touts that they are “the largest series of travel shows in the United States.” Usually held at convention centers, the show is comprised of guest speakers, dozens of tourism boards, food cooking demonstrations, and dance performances. There are chances to win prizes, both big and small, if you’re willing to give out your contact info to the many vendors. 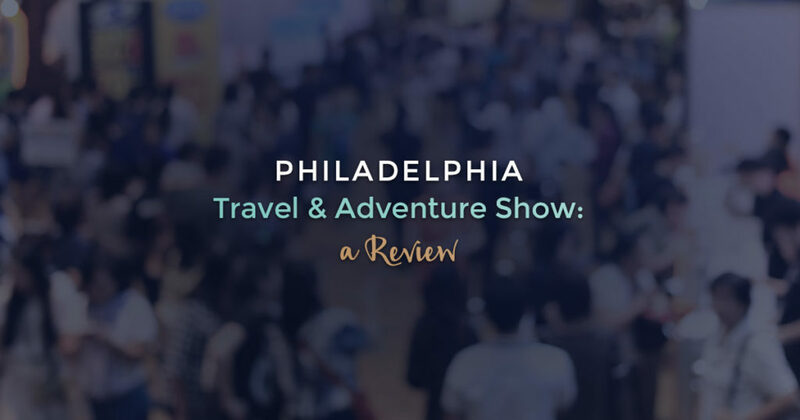 The Philadelphia Travel & Adventure Show took place the same weekend as the Philadelphia Flower Show, and both were held in the Philadelphia Convention Center. In case you don’t know, there are multiple buildings that make up the convention center. This can be slightly confusing when you are walking through masses of people in an unfamiliar city, but I managed to find it. Upon receiving my entry bracelet I was slightly annoyed to find that there was no place to check your coat. Call me a snob, but I don’t want to carry around my winter jacket, in addition to the many brochures I was about to pick up, plus my normal purse and water bottle. If you work for the Travel & Adventure Shows and you’re reading this…please offer a coat check, even if it costs a few bucks! Your patrons will thank you for this. The next thing I noticed was the relatively older crowd. Maybe it was the sea of gray hair peppering the aisles, but the target audience was likely in the 45+ age range if I had to guess. Again, I’m not trying to be a snot here, but the way I travel as compared to the way my dad travels is very different. Overall I think the show and its vendors catered more towards older travelers. Another prime example of this were the booths in the Lifestyle Section – AARP, Bath Fitters, and Anderson Windows were just a few examples. I’m not sure what any of those have to do with travel or adventure and I’m still unclear as to why they were there, but hey…I’m not the one organizing the show. As far as the adventure part of the show, there was very little to be had. Only 3 booths were classified as adventure and none of them blew my socks off. The final note worth mentioning was that many of the vendors were listed multiple times on the map, making it appear like there were more exhibitors than there really were. With that lackluster review, was there anything worth seeing? Absolutely! I loved catching the many speakers presenting on a wide variety of topics. You could spend your entire day, from 10:30 am until 4:45 pm going from stage to stage to hear the likes of Samantha Brown, Pauline Frommer, and Patricia Schultz speak. All for just $11. Pretty cool! But my faves were the younger peeps, like Juliana Broste of Traveling Jules, Angel Castellanos from Angel’s Travel Lounge and The Points Guy, Brian Kelly. While I honestly didn’t learn anything groundbreaking from these guys, as I’m already familiar with them and their websites, it was fun to meet them in person. Would I go to the Travel & Adventure show again? Finally, I think the speakers were great, but it seems that the information they dispensed could just as easily be found on their respective websites or YouTube channels. For free. From the comfort of your home. Did I mention for free? In all seriousness though, I did enjoy my time at the show, but looking at my ROI, I can’t say I’ll be chomping at the bit to go again. 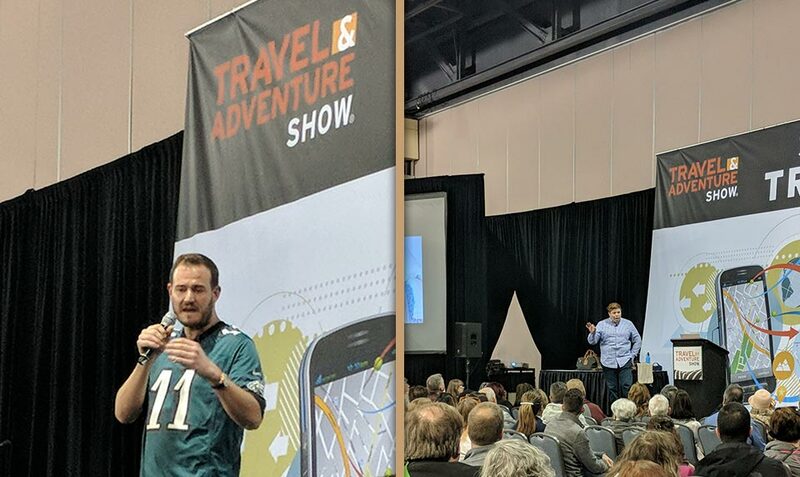 Has anyone else ever been to a Travel & Adventure Show? What did you think?